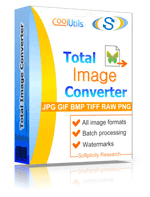 Transform PCX to JPG raster images online in a few clicks! Run the PCX to JPG Online Converter or get our batch App for more! Description PCX is mostly used in IBM PC-compatible systems. The most popular format version is 5th, VGA palette is supported in 3rd and later versions that do not support individually created palettes. The maximum size is 64k x 64k pixels. PCS supports RGB mode, indexed raster colors, grayscale colors, as well as alpha-channels. The depth of image in PCX can be 1, 4, 8 or 24 bit. Complex compression scheme actually can increase the file size and is not suitable for deep-pixel graphics.